In the world of fashion, some of the most stylish influencers come in the smallest sizes. From celebrities such as Beyoncé dressing her 'mini-me' in hot designs or luxury companies such as Aquazzura launching a line for toddler girls, the fashion industry is churning out designs for mothers who want to create flawless, affordable, and practical wardrobes for their daughters. Jenny Slungaard, PR Manager for children's wear online boutique Alex and Alexa, says that "With the rise of social media, particularly Instagram, parents are becoming a lot more conscious about what their children wear - as are the kids themselves." When it comes to toddler trends, many of the designs created are miniature versions of popular adult styles except for childlike motifs and silhouettes. Among some of the latest trends perfect for updating your child's wardrobes are the following looks. Fresh bursts and splashes of watercolor tropical prints are displayed on jumpsuits, jackets, shirts and pants for the upcoming season. 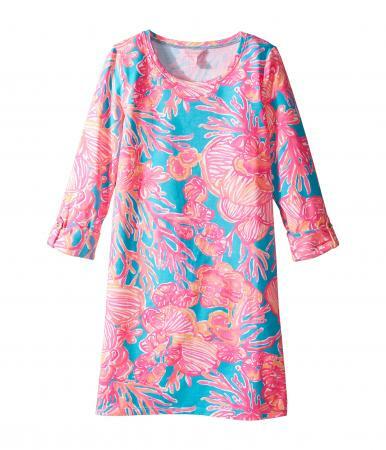 You can find tropical looks at specialty stores like Paradise Clothing Company and designer names like Lilly Pulitzer. You can find a full range of tropical-inspired looks for toddler girls, from dresses and jumpers. 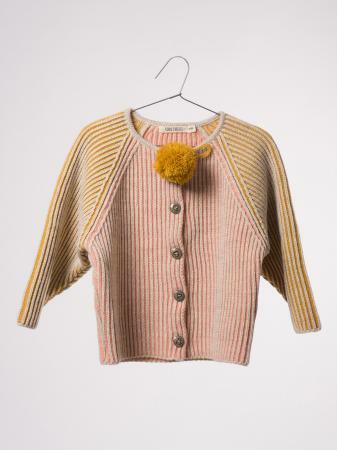 Bugs and insect motif and accessory shaped clothing items are worth crawling into your little one's closets. There's nothing squirmy about this adorable trend captured on this adorable caterpillar motif top and bottom set found at Best Dressed Child. A nod to the 50s American classics are paid homage with denim, bomber jackets, retro patches, pedal pushers, and circle skirts. Vintage-style jeans from Levi's are a great denim basic rinse aligned with the trend. 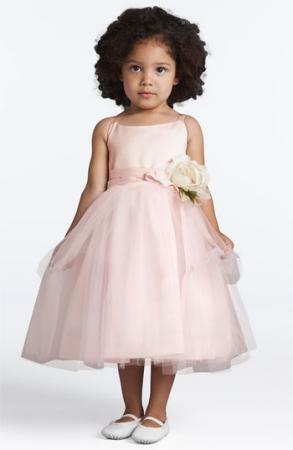 Toddler girls can get whisked away in flowing tulle like dresses resembling fairy princesses. Within this trend category, loose knits, ruffle frills, braided trim are also key elements. This tulle dress by US Angels, available at Nordstrom (about $150) captures the trend perfectly. This trend look is all about wildlife nature inspired clothing items with animal motifs. The minimalistic utilitarian neutral color clothing items give off a camping vibe. These prickly adorable roundup items are featured on Earnshaws.com really set the tone. 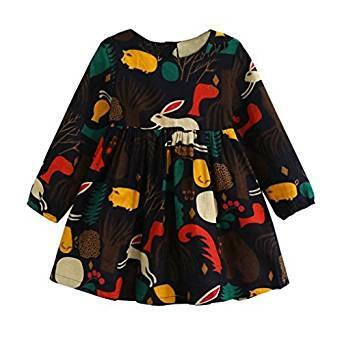 You can find cute, nature-inspired selections at many department stores (like this forest animals-pattern dress from Amazon for about $10). Osh Kosh: Oshkosh.com is one of the oldest and most-recognized brands in the children's wear market. Here you can find clothing on trend, such as great quality dresses ranging from around $20-$50. Osh Kosh it touted by Life With My Littles blogger as one of the best places to shop for babies and young children - noted for a range of cute styles beyond their traditional and beloved overalls. Gap Kids: Fashion-forward basics for a toddler girl's wardrobe can certainly be fulfilled by Gapkids.com. Whether you are shopping for your child's classic tee shirts, a basic trench coat, or quirky solid pants, this is a great resource. According to Real Simple, Gap Kids has been rated as one of the best stores to stock up on essentials and basics for your little one. It is noted for its quality, cute styles, and decent prices. Crazy 8: Owned by Gymboree, Crazy8.com is a fashionable retail destination for toddler girls. If you are uncertain of what you the style direction you want to go in for your toddler's outfit, the site provides stylized inspiration to shop. Recognized by Good Kids Clothes blogger as one of the best and most affordable places to purchase kids clothing, it is notable for having goof quality for the cost and cute styles. Thanks to a toddler's continual growth spurts reserving a little cash for their wardrobes is often a wise choice. With the blink of an eye, your toddler girl will be a new size, so looking for a few savings on clothes is never a bad idea. Here are a few retailers where you will always be able to find a deal. Burlington: Wearing the look for much less can be done every day thanks to the deals that are often available at Burlington Coat Factory. Those who are shopping for toddler girls will be able to find designer prices for a steal for under $50. Strategic shopping moms can even find cute items on clearance that would be a good idea to purchase before your little girl to grow into for the following season. Destiny USA blog recognizes the store's savings, which are up to 65 percent off, as a good deal for name-brand clothing. H&M: Every little fashionista in training needs H&M in her closet. 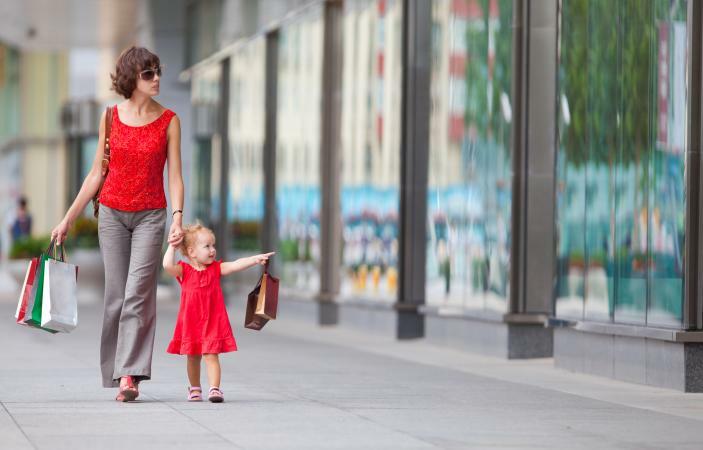 Here, moms can find stylish, inexpensive looks such as under $3 for leggings or $5 for tops. Listed as one of Today.com's best picks for stylish and affordable online clothing for kids, you can find everything from fun basics to cute shoes and accessories. Old Navy: Whether you want denim pieces such as jeans or jackets, or colorful knits and fun logo tees, at Old Navy there are always ways to save. Clothing items that are on clearance and "favorite picks" deals, make every shopping experience light on your pockets. Also recognized by Good Kids Clothing blog, Old Navy is recommended because of its low everyday prices as well as frequent specials, both online and in store. Whether your toddler little girl is not the average size of a child her age or if you want to purchase her size slightly larger to ensure a fit that will last longer, look into purchasing from a retailer with a large range to choose from. Amazon makes shopping for an endless number of sizes a bonus especially when it comes to the daily deals that are offered for prices that are already low. The free to low shipping costs, vast selection, and incredible number of sizes make this retailer a must for every mom. 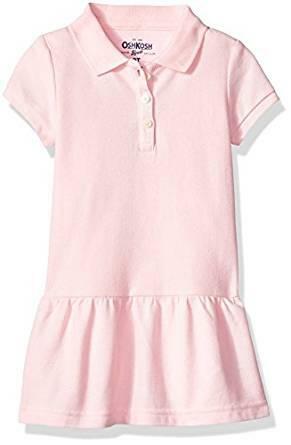 According to CNN, Amazon has not only a massive number of fashion and designer brands, but has also launched a number of in-house brands, including Scout + Ro, a children's clothing brand that offers toddler girls' fashions in sizes 4/5. Zappos sells everything from luxury to moderately priced toddler fashions. A range of sizes are available, however, if a size you want happens to be out of stock, you can be notified by customer service when your desired item becomes available again. Zappos has also been recognized by Real Simple as one of the best websites for kid's clothing, with good options in sizing and price. Overstock has a wide range of sizes for moms ready to dress their toddler girl out in style. There are also daily deals available for moms on a budget. According to My US savings blog, Overstock is one of the eight best clothing stores for children that have stylish and affordable clothing choices with a great selection. 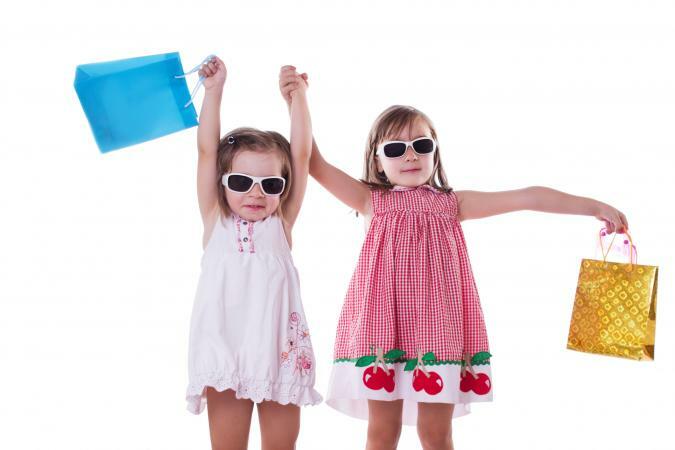 If you are searching for designer fashions for your child that are stylish and trend forward, here are a few online retailers that carry European flair, indie designs, as well as brands such as Stella McCartney, Sonia Rykiel and others. Mini Joops: MiniJoops.com offers on-trend designer pieces for toddler girls. Style selections are refreshed regularly ensuring that new looks are introduced often to keep your daughter's look unique. Here you will find darling jewelry, logo and motif clothing galore, jumpers and other cool pieces. Meli Jo: If you are a mom who loves to wear Karl Lagerfeld, Stella McCartney, Kenzo, or Petit Bateau, MeliJo.com will keep your little one runway-ready every day of the week. Zara: Zara is a retailer that will have your daughter dressing with a subtle sense of chicness and personality. At Zara, moms will find posh trench coats and other outerwear styles, as well as on trend jean looks. 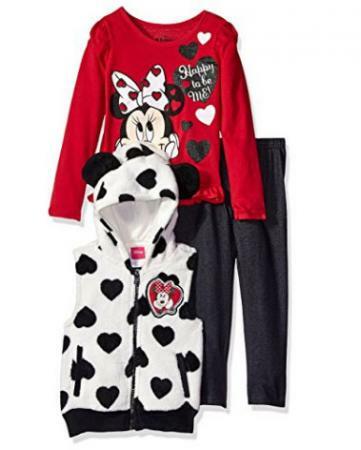 Also recognized by Today.com as one of the best places to buy cute kids' clothing online, it is known for cool styles that are affordable enough for the smallest fashionista. Alex and Alexa: Have you been looking for a bomber jacket, cool sunglasses, or a flutter sleeve dress for your toddler's wardrobe? Then AlexandAlexa.com has you covered. The boutique even sells items for your getaway trips to the beach or ski resort. Consider durable fabrics. Find clothes that last that will not be torn and ruined after a day of playing or a few washes. Go for durable fabrics that will stand up to playtime. Don't break your budget. Even if you do decide to splurge on a few designer items, consider ways that you can resell items at a consignment shop. Also, this may be a great starting point if you have been wanting your daughter to wear a luxury raincoat or dress. RetailMeNot is a great starting source for coupons whether you want to shop online or in store. Consider non-traditional shopping routes such as online consignments shops like thredUP. This can be a great way to get name brands for less. Save on shipping. Another way to watch your budget while shopping for your toddler daughter is to avoid shipping costs. Many sites either don't charge a shipping fee or waive the cost once you spend a certain amount of money. With thoughtful planning and ideas on where to shop and which trends to look for, your toddler girl will be on her way to becoming a budding fashionista. Just be sure to keep an eye on your budget, and be mindful of which items are worth a splurge and which are best to save on.